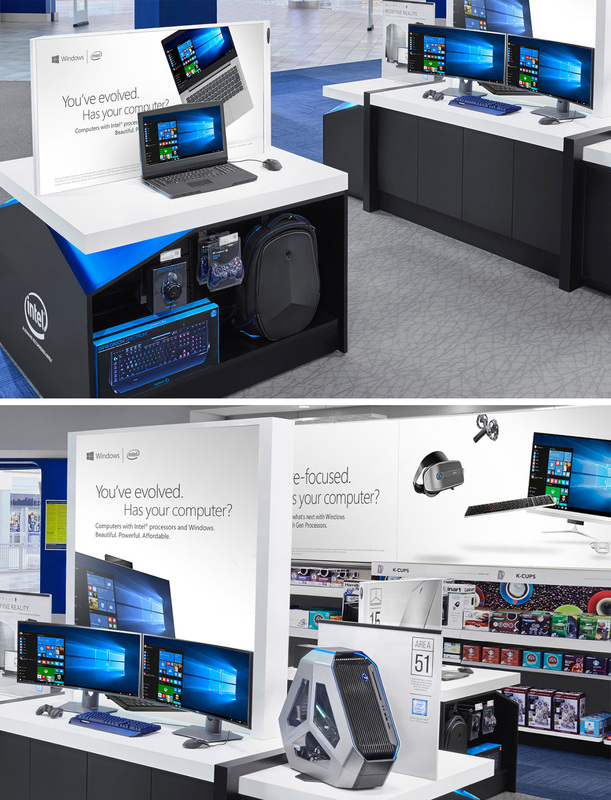 Develop a co-branded, digital-first, multichannel (digital, in-store & evangelism), holiday/spring campaign that promotes modern PCs and highlights the benefits of the processor (Intel), hardware and software (Windows), available at mainstream prices. The campaign must provide a consistent experience that touches all stages of the shopper’s journey and is also flexible in structure so it can be customized to specific geographic parameters. With computers, so much has changed in the last five years. Today, your dollar simply goes much further and gets you tons more in the way of speed, capability, and security. 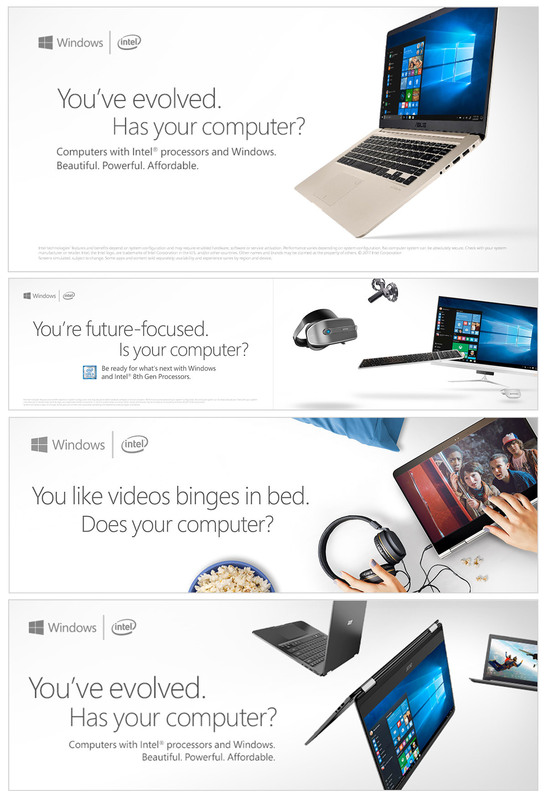 But if 2012 was the last time you shopped for a computer, you might not know that. You might think your clunky old machine is still about as good as it gets. 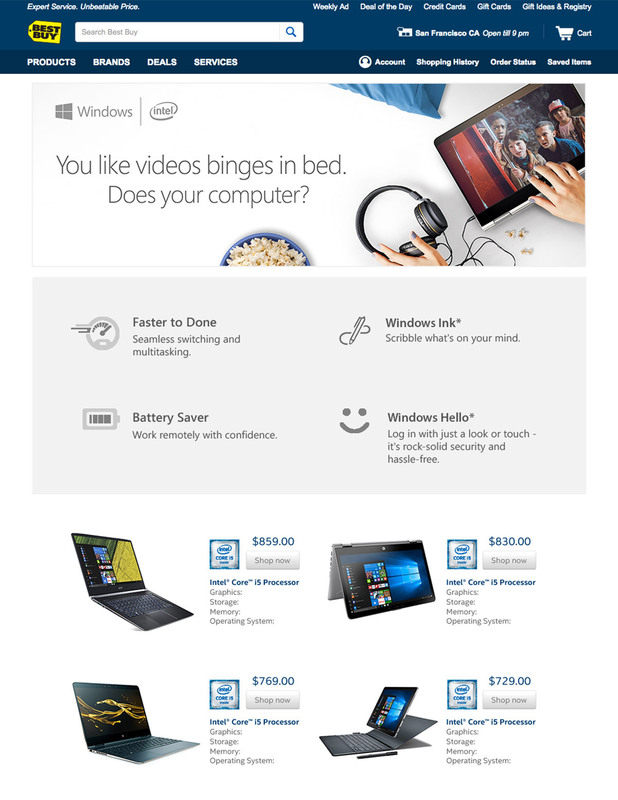 With the latest generation of fast, secure, beautifully modern computers featuring Intel® and Microsoft Windows, there has never been a better time to buy. And this campaign will help the value conscious, nonintender clearly understand that. It’s time to upgrade and refresh your tech. It’s time to buy a modern computer. If your last computer purchase happened five years ago, your computer is outdated—but that doesn’t mean you are. By serving up some pain point-based “food for thought”—while giving the viewer some credit for being an evolved participant in the year 2018—we’ll help them see, in a slightly backhanded, but positive way, that their clunky, old computer just isn’t that evolved. That it really isn’t meeting their needs anymore. And it’s time to replace it. We executed a series of in-store point of sale promotions includings endcaps, placemats, monitor toppers and digital displays. Various sized digital banners, both static and animated, for desktop and mobile channels were created. 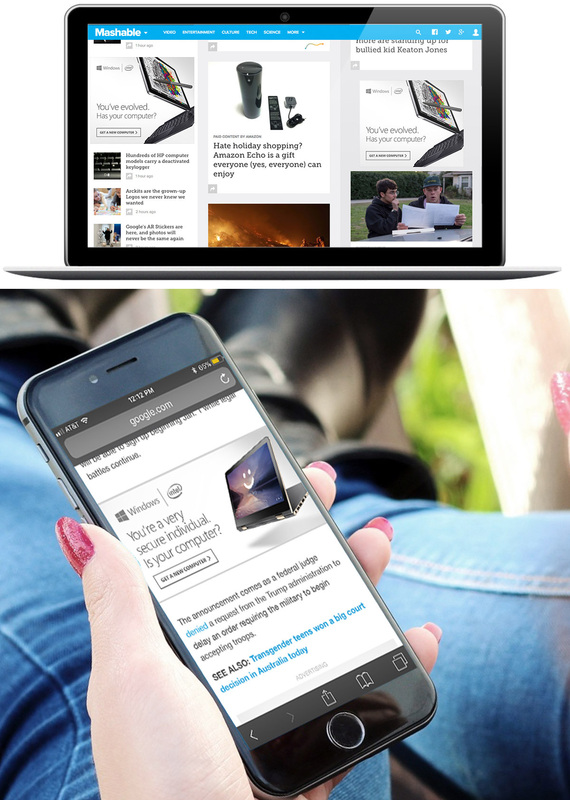 Paid media drives users to a campaign landing page which can be co-branded by a third party. (E.g. Best Buy).